The gastrointestinal complications of a high blood pressure drug used by thousands have led to numerous Benicar lawsuit filings in the U.S. Specifically, claims allege instances of sprue-like enteropathy, a condition that often causes weight loss, chronic diarrhea and other health issues. the manufacturer of Benicar and Benicar HCT, two products that include olmesartan and belong to a class known as angiotensin II receptor blockers (ARB), of failing to adequately warn about problems that may stem from its use. In July 2013, the U.S. Food and Drug Administration (FDA) issued information about the potential for Benicar, Benicar HCT, Azor and Tribenzor, which all contain olmesartan, to cause another condition that manifests in severe, chronic diarrhea, substantial weight loss and other symptoms that may develop months or years after beginning use of the medications. The FDA ordered manufacturers at this time to adjust labeling on their products to note these risks, which are symptoms of sprue-like enteropathy. At the time of its warning, the federal agency vowed to further investigate side effects of olmesartan. Across the U.S. Benicar class action and individual lawsuits have been filed by individuals who took the high blood pressure medication. These cases similarly allege that Daiichi knew or should have known about side effects of this product, and should have properly warned consumers about them. The company was negligent in testing Benicar for safety and effectiveness prior to its entrance into the U.S. market in 2002. Lawsuits involving this medication were filed after the FDA’s ordered label change on Benicar in 2013, which was prompted by findings of a study published by the Mayo Clinic. Released in August 2012, the study suggested that patients suffering gastrointestinal problems of the blood pressure drug are often misdiagnosed with Celiac disease. The researchers looked at 22 patients who were experiencing chronic diarrhea, weight loss and an overall malabsorption of nutrients—all symptoms associated with Celiac but tested negative for it. The common denominator: they were all taking Benicar, Mayo Clinic said, before recommending that doctors be mindful in prescribing the ARB drug. 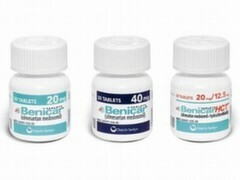 The attorneys at Bernstein Liebhard LLP are actively monitoring the nationwide litigation involving Benicar lawsuits filed against the makers of this high blood pressure treatment. Call the Firm directly for more information.